Multiple Authors • $11.95 • 10 articles • Item # SR 169 Get 10 of our best and most popular training articles and presented so you can start your program now! This kit focuses on developing with ball speed development. Includes an index of articles and how you can use it to establish your program plus a bonus Brazlian improvisation speed development feature. At high level of play no player will be in possession of the soccer ball more than two percent of the time. But it’s the two percent that scores goals and wins games. But energy cost increases about 30 percent in relation to without the ball play. Therefore with ball speed development should emphasize quality touches with high levels of fitness. Because the game is played with and without the ball it is important to intertwine exercises that develop foot speed and acceleration, and all the different types of speed such as reaction speed and speed of thought. This kit will take a comprehensive look at developing speed with the ball. Article #1: The 7 Speeds of Soccer--Action Speed with the Ball Five great exercises that introduce pressure into speed development from anticipation to game action speed. Article #2: Soccer Speed Development System Based on the Movements of the Game Discover the movements of the game from initiation, transition to actualization. 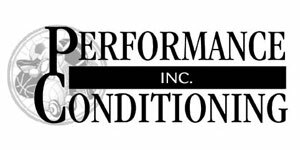 Article #3: Considerations in Improving Game Action Speed Article #4:Soccer Speed-A Matter of Controlled Techniques This extensive interview covers a wide variety of ball speed issues from soccer speed expert, Chochi Valenzuela. Article #5: Combining Skill Acquisition and Conditioning to Improving Speed of Play Introduced is the unique Fitness-Skills-Tactics Model. Article #6: The Four-Quarter Approach for Comprehensive Speed Development of U-10 to U-12 Soccer Players Article #7: Attacker Game Action Progressive Speed Training with the Ball Article #8: Outside Back Game Action Progressive Speed Training on the Attack Article #9: Midfielder Progressive Game Action Speed Training with the Ball These articles provide with ball speed development-position specific in the eyes of soccer speed expert- Roby Stahl. Article #10 Observations and Development of First Step Speed for Soccer First step is critical for speed development here are consideration and program guidance to beginning, intermediate and advanced level players. Bonus article: Brazilian Style—Speed of Improvisation Development Here’s a look at speed- Brazilian style.